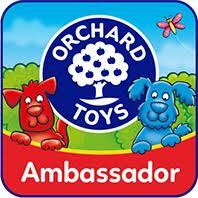 As you know, Caterpillar and I are huge fans of Orchard Toys. I love how their games are both fun and educational. They have such a large, varied range and cover many ages and abilities. 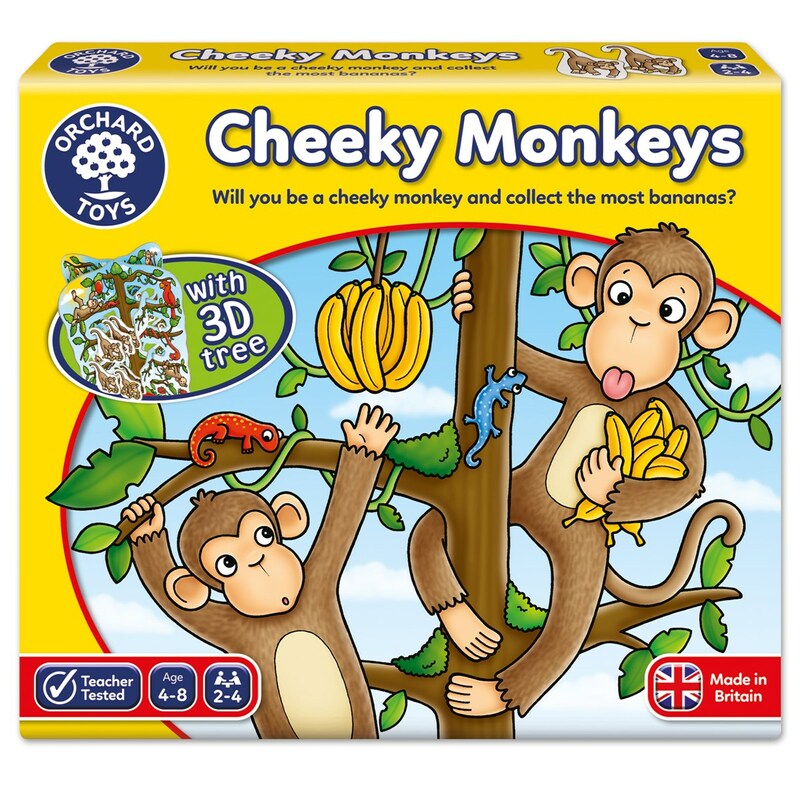 We were very excited to recently review one of their new games – Cheeky Monkeys. This is quite a unique set up compared to the other Orchard Toys games we already have. Players use a spinner to determine whether they can pick up a monkey, miss a turn, steal a monkey from another player or lose any monkeys they have previously collected during that turn. I’ll admit, on first glance it seemed like it was quite a complicated concept, especially for a preschooler, however once we abandoned the instructions and just decided to try playing a game it soon all became clear. And very fun! Unlike many kids games, the gambling element in Cheeky Monkeys makes it really enjoyable for adults too. To explain, if you land on the banana y spot on your turn you can pick up the monkey card, see how many bananas he has and then decide whether you wish to stick with what you have or gamble and take another spin. You could continue to spin monkey after monkey (as Caterpillar tends to do, the jammy little dude!) but at any moment you could land on the pool and be forced to give up all the monkeys you’ve gained during that turn. Caterpillar loved this concept. The idea of “risking it,” as he calls it, each time made him so excited. Not to mention the valuable lesson it teaches in terms of losing and disappointment. On this note, I definitely think four years and up is the correct age range for this game – both in terms of ability but also emotional maturity. During the first couple of games we did experience some mini tantrums while Caterpillar learnt to accept the concept of risk and gambling but, frankly, once he realised he would sometimes get to steal monkeys from other players he soon cheered up and a few weeks later Cheeky Monkeys has quickly become a firm favourite. As with all Orchard Toys games I’ve encountered so far the physical quality is really good. 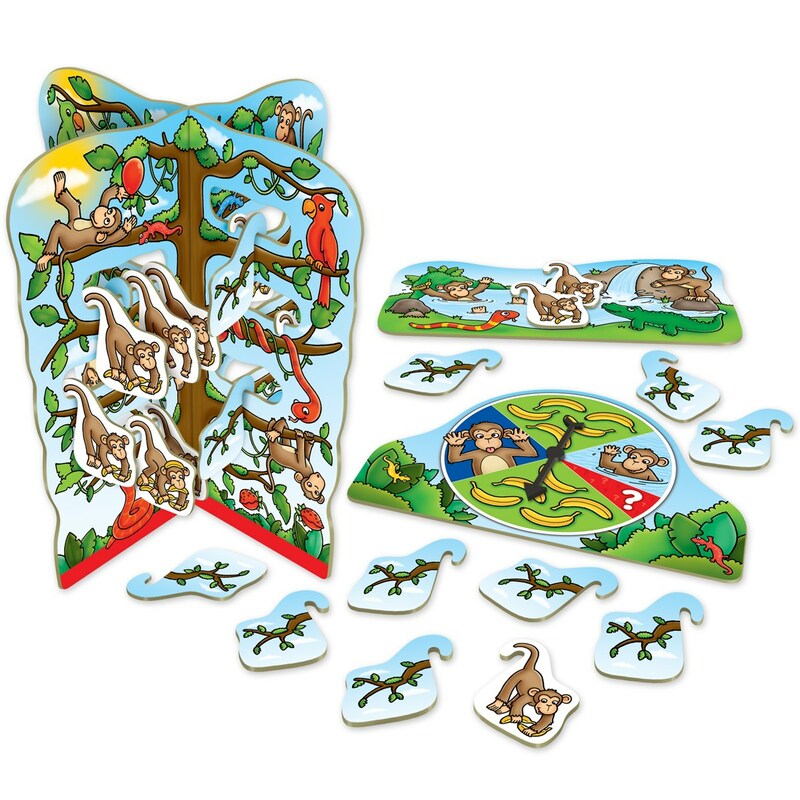 The tree structure for hanging the monkeys from is really sturdy and a clever, creative way to play. All in all, a fab present for any excitable preschooler! Disclaimer: We received the Cheeky Monkeys game in exchange for an honest review.